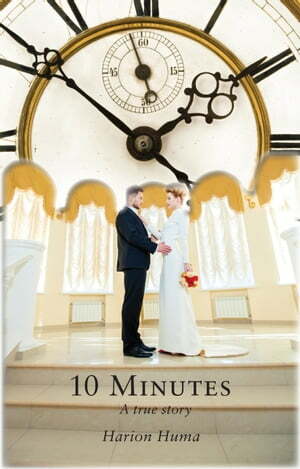 Collins Booksellers - 10 Minutes: A True Story by Harion Huma, 9781782378167. Buy this book online. This is a true love story of a Russian doctor who was victimized by malefactors, playing a cruel game. She was martyred because of sincere love. She wanted to live in peace with her soul mate, but, when someone loves sincerely, enemies are never far away. Women mostly cannot sacrifice life but mainly find a way to compromise, but the situation is very different in the context and mysteries associated with love. Real love isn’t a feeling but is action, loyalty and grace with maturity. The main character in this story didn’t compromise but tried her best to protect her fiancé by all means, using wealth and power and even giving her life. These events occur everywhere, in different forms and in different ways, all around the world and any where there are human beings. Every wound and infliction on the moral values of a society become lessons that must be learned and resonate through time. The story teaches us about sacrifice and devotion, with the essence of divine affection, through a relationship with universal themes of peace and real love. In giving in to the mercy of cruelty, this kind of love always demands the sacrifice of life and property, not compromise. If Almighty God is love then the spirit of love is God, and it is immortal.